with superior performances and... humor that cuts across age categories"
"A Musical Morsel Supreme... positively bursts with delight, color, and magic"
flying high on fenders of the most magical car ever"
"[A] summer blockbuster... Chitty Chitty Bang Bang Soars!" My daughters gave the show two thumbs up and asked to go see it again"
Saturdays, June 21, July 5, 12, 19, 26, and August 2, 2:00 p.m.
Purchase a full price admission and receive one FREE admission per order. Some restrictions apply - CLICK HERE for details. Saturday, June 21 & Sunday, June 22, 2:00 p.m.
Fridays, June 27, July 11, 18, 25, and August 1, 7:00 p.m.
Sundays, June 29 & July 20, 12:45-1:15 p.m. The Daughters of the British Empire will hold a FREE pre-show discussion on the finer points of hosting afternoon tea, Truly Scrumptious-style.  Sundays, July 6, 13, 27, and August 3, 2:00 p.m.
Every audience member will be automatically eligible to win FREE Coterie gifts, such as posters signed by the cast, backstage tours of the theater, and Spotlight Club Passes to attend Coterie’s 2014/2015 Season. Saturday, July 12, 2:00 p.m.